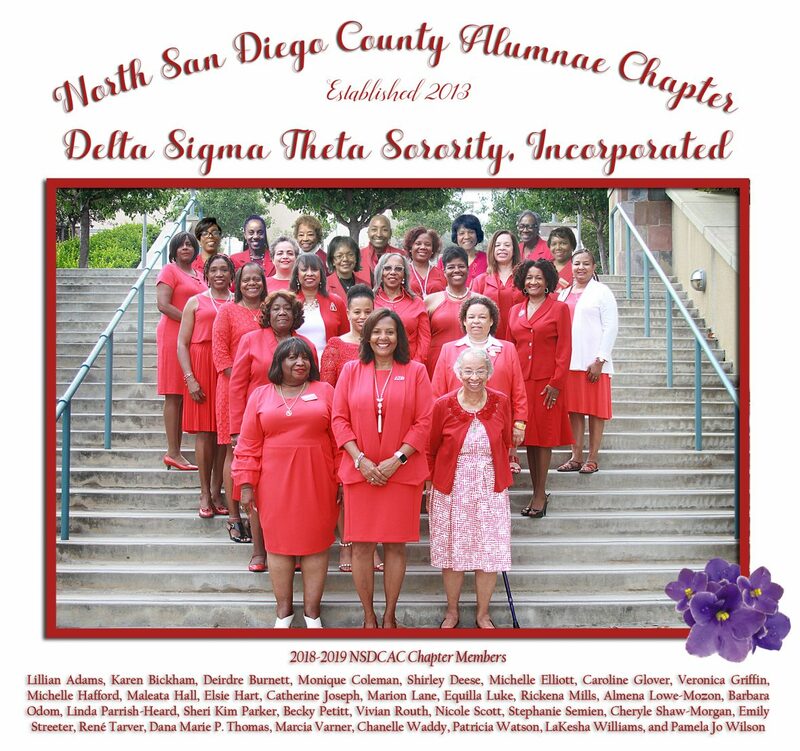 North San Diego County Alumnae Chapter of Delta Sigma Theta Sorority, Inc. is sponsoring this signature community service event to benefit the local chapter of Habitat for Humanity in fulfillment of its mission to provide affordable housing for low income families residing in the City of San Diego and the North County. A secondary goal is to engage community-based organizations (CBOs), agencies and the general public to work towards a common objective of giving back to their community. We hope that you will join us to support this worthy cause! Soror Karen Bickham was chosen as one of the illustrious and dedicated recipients of one the NSDC NAACP’s Women of the Year Awards. Our chapter congratulates Soror Bickham for this well-deserved honor. We love you and are proud of your long history of teaching and service to our community. Current members of U.S. Congress who are also members of Delta Sigma Theta Sorority, Inc.
Pictured Left to Right: Representatives Lucy McBath, Brenda Lawrence, Yvette Clark, Marcia Fudge, Joyce Beatty, and Val Demings. NSDCAC commemorated the month with many festivities. Sorors Waddy. Odom and Mozon (L>R) educated visitors to NCHS Mission Mesa Pediatrics on the importance of “knowing your numbers” and maintianing a healthy blood pressure. NSDCAC remembers Dr. Martin Luther King, Jr.
Farwest Region March for Babies May 11, 2019 at 7:30 am – 8:30 am OC Fair & Event Center, 88 Fair Dr, Costa Mesa, CA 92626, USA Donate to NSDCAC's Team! NSDCAC President Sheri Kim Parker with the Honorable Judge Randa Trapp, Judge of San Diego Superior Court. The Honorable Judge Randa Trapp, Judge of San Diego Superior Court giving keynote address.